BLUDGERS will face a driver style demerit system in the Federal Budget which will cut off their payments for up to a month when they lose all seven points. Welfare recipients who take taxpayers for a ride by failing to turn up to job interviews or work-for-the-dole appointments will start losing payments when they reach four points - and when they hit seven demerit points, they will have their payment cut-off, effective immediately for four weeks. But some welfare bludgers who commit serious offences will lose their seven points in one fell swoop. The Turnbull Government will today announce the tough demerit system as one part of major welfare sector reform, that includes scrapping Newstart allowance, combining it with other payment categories, and rebadging it under a new name to simplify the complex system. This poll ended on 16 May 2017. Treasurer Scott Morrison's budget will show debt at record levels, climbing beyond $500 billion, with the Treasurer pledging restraint by keeping spending growth to around 2 per cent. Turnbull promises a practical budget: Prime Minister Malcolm Campbell speaks in Cabinet. TREASURER Scott Morrison insists he's been listening to frustrated Australians while preparing the Federal Budget. 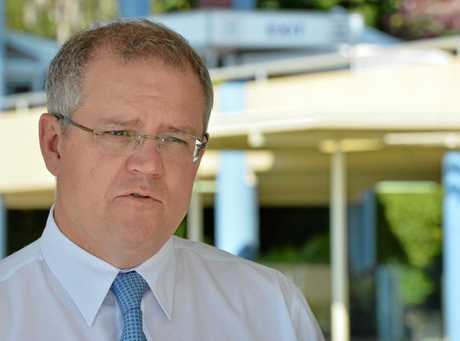 Arriving at Parliament House on Tuesday, Mr Morrison said he understood that while the Australian economy has grown ahead of other economies not all voters have experienced the benefits. "Australians have been making big sacrifices to ensure that we've achieved the growth that we've had and I want to tell them that it's been worth it," he told reporters. Treasurer is "responsibly optimistic" for country's future: Scott Morrison wants to deliver a practical budget. Schools are set to get an extra $18.6 billion from the Commonwealth over the next decade in a major funding shake up. More than $2.2 billion of that extra funding will be included in the Budget to go to schools over the next four years. The money will be delivered to schools in a new needs-based funding model which comes from the original 2011 Gonski report. The extra funds for schools will be essentially paid for by a $2.8 billion hit to the university sector over the next four years. Universities will be hit with a 2.5 per cent efficiency dividend on Commonwealth Grant Scheme payments in 2018 and 2019. Student fees will increase under the funding shake-up, starting with a 1.8 per cent hike next year and rising to a 7.5 per cent increase in 2021. A four-year degree would be between $2,000 and $3600 more expensive under the changes. The most expensive course will be a six-year medical degree, which would cost $75,000. Students will also have to pay their loans off earlier from July next year. Repayments will now be mandatory when students start earning $42,000 per year, down from the current level of about $55,000. The repayment rate will be scaled from 1 per cent to 10 per cent depending on income. An extra $428 million will also be included to continue Commonwealth funding for 15 hours of preschool for 2018. The government is set to fully fund the National Disability Insurance Scheme beyond 2019 in Tuesday's Budget. The Australian reports the NDIS funding will be the centrepiece social policy, set to be revealed when the government outlines its spending plans tonight. Medicine prices will fall and Medicare rebates for doctor's visits will rise. 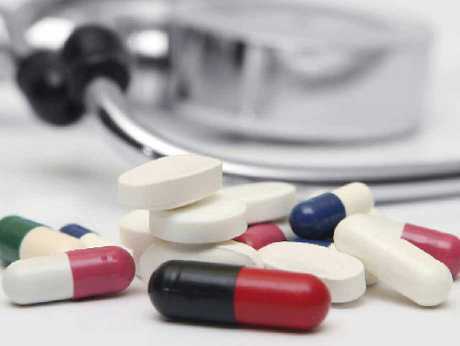 Patients will be pushed onto generic versions of their medicine to save the government money. The price of X-rays and scans could rise with the government poised to abandon an election pledge to index the Medicare rebates for these services. And high income earners - singles earning over $90,000 and families on over $180,000- may have to brace for an increase in their Medicare Levy. Medicare Rebates for specialist procedures won't be indexed until 2019. Every Australian will be given a digital My Health Record unless they opt out. A 2014 plan to raise the price of prescription drugs by $5 is expected to be abandoned. Chemists will get taxpayer funding to compensate them for low prescription volumes and $600 million for in pharmacy diabetes checks. 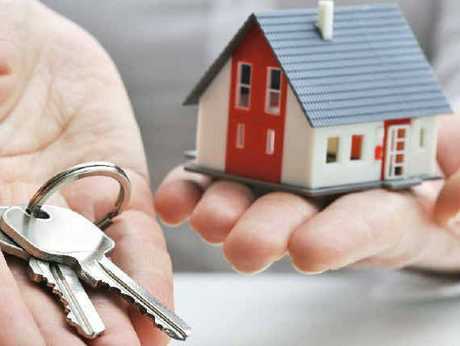 The Government will announce a savings plan to help first home buyers along with policies encouraging retirees to downsize. The two-pronged strategy focuses on tax breaks for first home buyers and a freeing up of super rules for downsizers. In the same way that employees are able to salary sacrifice for superannuation, first home buyers will be able to direct some of their pre-tax income into a savings account. And about 50,000 more family homes could come onto the market, helping to ease prices, with the Government likely to allow some house sale proceeds to be put into super so retirees do not suffer a big hit to pensions when they sell homes - a key factor that makes thousands of older Australians reluctant to downsize. The Government is likely to give older more flexibility than the standard $100,000 annual cap on non-concessional super contributions that applies from July 1 this year. Allowing older Australians a one-off exemption to that cap - the sale of the family homes - is likely to remove an impediment to downsizing. The Budget package will include measures that help boost the supply of housing for older Australians - such as villages for the over-55s - so more people are able to downsize without being forced to move far from their home suburbs or towns. Capable dole recipients who refuse to work will be the targets of a welfare crackdown in this year's Budget. The Daily Telegraph reports that people will face a driver style demerit system, which will cut off their payments for up to two months when they lose all seven points. The government will outline how much it expects to save from targeting welfare recipients "gaming the system". Capable dole recipients who refuse to work will be the targets of a welfare crackdown. "Zombie" savings measures the government has been trying to pass since 2014 are likely to be dropped. - and halting pension payments to retirees who spend more than six weeks overseas. They may still aim to axe the Clean Energy Supplement, which was given to pensioners, people with disability, carers and Newstart recipients to offset the carbon tax (which was later repealed). More trial sites for the cashless welfare card could be announced. Trials are already running in Ceduna in South Australia and in the Kimberley in Western Australia for the card, which aims to reduce alcohol and drug related harms. A $10 billion inland rail project linking Melbourne and Brisbane will be one of the major infrastructure projects to get federal funding in this year's Budget. Money will also go to building a second international airport for Sydney and road and rail projects in Perth. Mr Morrison has flagged the infrastructure spending will be framed as "good debt" while money borrowed to fund recurrent spending will be framed as "bad debt" as the government attempts to bring the Budget back to balance by 2021. It's expected the overall Budget deficit for 2017-18 will be about $25 billion - less than the $28.7 billion projected in December's midyear Budget review and the $26.1 billion tipped in last year's Budget. About $1 billion is expected to be allocated to create the inland rail and begin construction on the 500km of new track needed to connect to the existing 1200km of track. Another $1.2 billion previously slated for the now cancelled Perth Freight Link will go to 17 road and rail projects in WA. 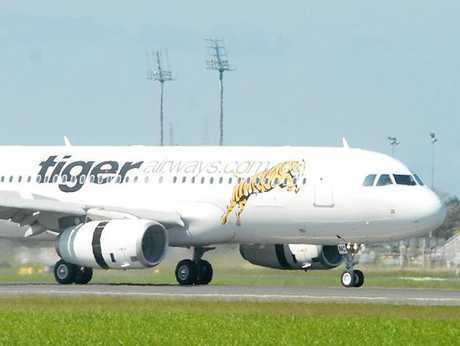 Details of the government's spend on the airport at Badgerys Creek will also be included. Businesses will have to pay to bring in foreign workers on the new version of the 457 visa. This year's Budget should outline how much the Government expects to gain from the new levy to pour into a new training fund for Australians. The training fund is designed to help fill skills shortages with Australian workers. Sky News reports the Treasurer is considering a new levy on major banks, targeting the institutional loans the big four make to each other. Small businesses are expected to win an extension of a tax break which allows them to claim an instant tax deduction for purchases worth up to $20,000. The instant asset write-off was due to expire on June 30, but could be extended for at least a year in Tuesday night's federal budget. The government will also try again to cut the corporate tax rate to 25 per cent over 10 years after managing to only secure the rate cut for businesses up to $10 million with crossbench Senator Nick Xenophon's support in March. The reduced tax rate cut will cost $5.2 billion over the next four years and a projected $24 billion by 2027. But both the Treasurer and Finance Minister have said the corporate tax rate must be cut for larger businesses as well for Australia to remain internationally competitive. The Budget will also likely include how much money the government expects to gain from its "Google tax", which passed in March. It was expected to raised about $100 million in revenue per year from big multinational companies including Apple, BHP Billiton and Crown. The two per cent deficit levy on higher income earners, introduced in 2014, will be removed as legislated. It's possible the small business package could also include an extension of $20,000 instant asset write-off. The only certainty for the travel and aviation industry heading into Budget day is funding for Western Sydney Airport. 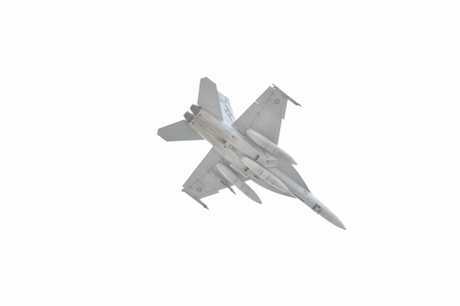 Having committed to funding the $5 billion project at Badgerys Creek, the only question remains how much money the Federal Government will be put up to get the ball rolling next year. Other initiatives being sought by the tourism industry, include a $10 million National Events Bid Fund. Tourism and Trade Minister Steve Ciobo promised a Coalition Government would establish such a fund in 2010, but the election of a minority Labor Government put the plan on hold. Association of Australian Convention Bureaux CEO Andrew Hiebl said the time was now right to revisit that plan, after an 11 per cent fall in international delegate arrivals in 2016 after Australia missed out on 61 major conventions. "(A bid fund) is not so much about buying business, as putting money on the table to guarantee the success of a conference," said Mr Hiebl. Australia's neighbours including New Zealand, Malaysia, South Korea and Singapore had recently upped the ante in this sphere, he said. "The advantages go beyond the tourism industry if you target conventions with national priority, such as advanced manufacturing, health and medical research, sectors where information sharing can benefit Australia." More funding for destination marketing is also considered essential, along with improvements to the visitor and working holiday visa schemes to compete on an international scale. The fight on terrorism is to get a significant boost in the Budget, both offshore and onshore, defence and law enforcement. 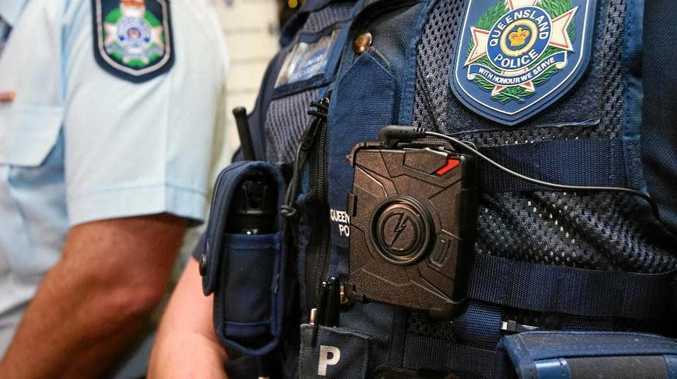 The Budget is expected to give the Australian Federal Police the green-light to hire hundreds more officers as the threat of returning Islamic State jihadists poses not just a direct threat to the community but a significant financial impost for costly surveillance operations. At least $300 million is to be provided to hire new officers as well as to go toward counter terrorist analyses and anti-radicalisation programs. Part of the new funding will address also the threat from returning jihadists to the South East Asian region with recognition for greater law enforcement co-ordination between regional partners notably Indonesia, Malaysia, the Philippines and Singapore. ASIO and ASIS are also to get a budget boost for counter terror work as will the Australian Defence Force as the government continues to roll out its White Paper initiatives. Last year the Federal Government announced defence spending would be at least 2 per cent of GDP as it announced a buying spree of military hardware including the biggest expansion of the Navy since World War II. While that year's Budget provided for the expansion until 2021, this year's is expected to include a top up to assist in the offshore fight of terrorism in the Middle East and elsewhere. The ADF has more than 2000 personnel across the Middle East region and their largely training mission brief as well as frontline consultation continues to be expanded by demands from both the Iraqi Government as well as Coalition partners engaged in the fight. So no new money expected for hardware, with that largely covered off by previous significant funding commitments from which purchases and developments are well advanced, but more for personnel. Australian Border Force has also had periodic top ups for its continued growth but could get repurposed funding for border protection including at airports.